Estimations of period and phase are essential in circadian biology. While many techniques exist for estimating period, comparatively few methods are available for estimating phase. Current approaches to analyzing phase often vary between studies and are sensitive to coincident changes in period and the stage of the circadian cycle at which the stimulus occurs. 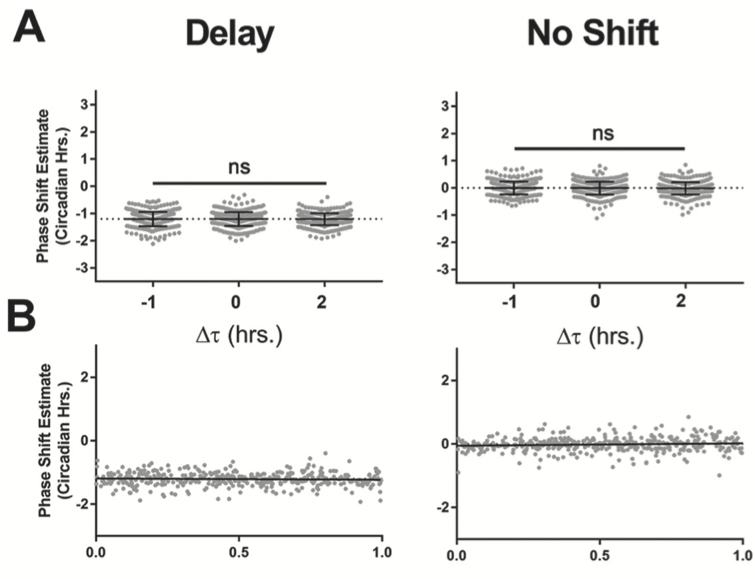 Here we propose a new technique, tau-independent phase analysis (TIPA), for quantifying phase shifts in multiple types of circadian time-course data. Through comprehensive simulations, we show that TIPA is both more accurate and more precise than the standard actogram approach. TIPA is computationally simple and therefore will enable accurate and reproducible quantification of phase shifts across multiple subfields of chronobiology.